Our company is counted amongst leading industries for providing Turnkey Project Solutions. The service we provide is reliable and known for their timely execution. We are manufacturers of Sewage treatment plant using SBR ( Sequential Batch Reactor) & Membrane Bio Reactor(MBR) technology.MBR technology is based on the use of membrane systems combined with biological processes to get superior clear water discharge and it is commonly used in industrial and household wastewater treatment. MBR offers better discharge quality, smaller footprint area requirement. Treated water from MBR satisfies PCB norms. 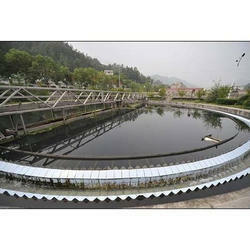 With our years of expertise and specialization, we are offering a wide range of Sequential Batch Reactors. 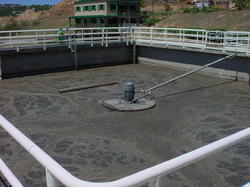 SBR is an activated sludge wastewater treatment system which is used for removing dissolved and suspended organic material and nutrients. In SBR all the unit operations such as aeration, settling and decanting are achieved in a single reactor, all by automatic operations. Due to this new technology industrial wastewater can now be treated biologically in ideal conditions, regardless of flow or load variations. Phosphorous and nitrates can be removed biologically as well. Looking for Turnkey Project Solutions ?